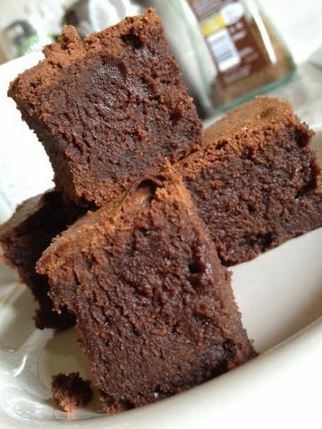 These amazing brownies are some I freestyled one day and they came out brilliantly perfectly. Deeply fudgy and absolutely perfect when made with quality chocolate like Original Beans Wild Beni chocolate. Melt the chocolate and butter together in a heatproof bowl over a pan of simmering water. Once they are melted and mixed together, remove from the pan of simmering water and allow the temperature to cool. Using an electric hand mixer beat the eggs and sugars in a bowl starting with the dark muscovado sugar and add one egg at a time then add the caster sugar. Once all eggs are added, beat with the hand mixer for 5 minutes until thick. Blend in the cooled chocolate and butter into the whipped sugar mixture then sieve and fold in the flour and salt. Pour the mix into the pan and bake at 200 for 30min or until the top is firm and there is only a little batter coming out on a cake tester. They need to be baked through but not overbaked. Once done, take them out and let them col before cutting them into squares. *hahaha* Only my mom and siblings call me Jude! They were lush and I really think it’s the sugar making a big difference. 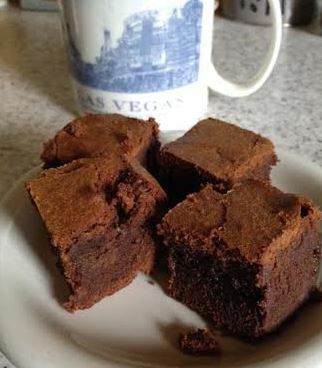 The Billingdon’s box said it was good for brownies so I experimented!